Now, lets say you finished sorting through your loads of photos and need to start getting a product to your client. You may try to accomplish this in a variety of ways. Most frequently, I like to show my client almost everything. Then you allow them a choice to pick their favorites - to receive in full resolution, to have fully retouched, or whatever it is you are offering with your finished product. 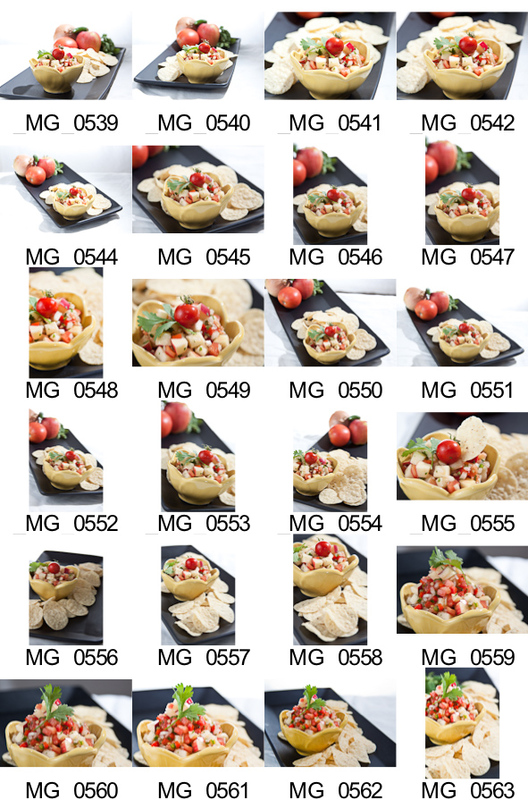 Some photo editing programs have an automated proof sheet builder built right in, which I imagine saves a lot of time from manually resizing each photo to a thumbnail and importing it into your proof sheet. 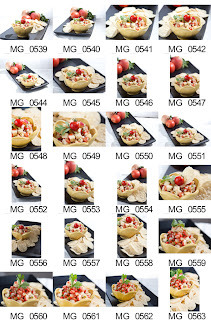 This example is one of 14 proof sheets made for the shoot. I organized them by model, so one model didn't need to sort through the others' images, and then included a sheet for both of them that included photos where they were together. Now you need to actually get your proof sheets to them. I wouldn't suggest mailing CD's because it takes too long, and then you will still likely have to mail a CD with finished photos. E-mailing can make things complicated because too large of attachments can get your e-mails rejected. If this is the route you chose, try limiting each sheet to a size of 1MB and sending 2 per email, for as many emails as it is necessary. Having a spot on your website especially for proofing is probably favoured by your clients, but is maybe not doable for everyone. This is something I will be looking into myself. Ideally, I would like to make a ''sign in" page so each person will know their proof sheets are private and only viewable by them.